Did you ever wonder how websites actually make money via advertising? For most sites, revenue comes through a Pay Per Click (PPC) model, with advertisers paying sites only when visitors actually click their ad. So, how do you gauge an ad’s effectiveness? And what can you do to attract more interaction between users and advertisers? You can take a crash course in Internet business with the Pay Per Click (PPC) Professional Certification bundle, which is on sale now for just $29 from TNW Deals. As you pore over 17 hours of instruction, you’ll learn the basics of Internet advertising, including PPC and paid search. With knowledge of Google AdWords and the search giant’s vast ad network, you’ll have the tools needed to create and implement paid digital campaigns, understand how factors like search engines, video and mobile affect your results, and how to analyze metrics to determine what’s working and what isn’t. Your training will even drill deep into ideation, helping you literally write and design ads that stimulate users, keep advertisers happy and make websites money. 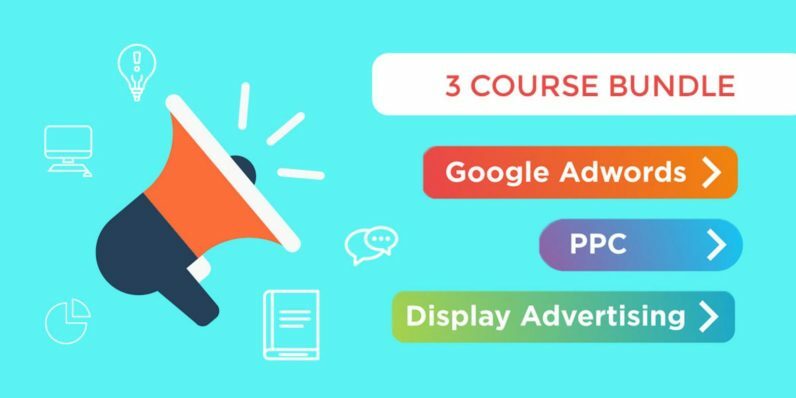 Even if you’ve never heard of ranking algorithms or cookies or conversion tracking before, this package will give you the tools to become a full-service Google ad pro – and you’ll walk away with a course completion certificate from Certs-School, proving you’re ready to enter this high-stakes arena. This three-course package retails for almost $400, so get all this ad knowledge for over 90 percent off — $29 — right now.